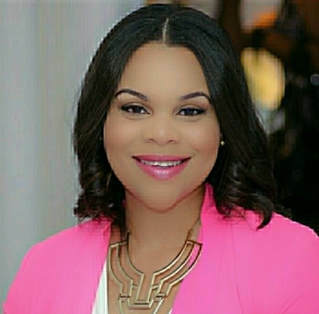 Eydie Robinson is an author, motivational speaker, the Founder of Desire to Empower, a non-profit 501c3 organization and CEO of Empowered Girls Soar. Eydie resides in Dallas, TX and is the mother of three children. She appreciates the little things in life such as time and peace. Though she's lived a life filled with trials and tribulations , she chooses to use those experiences as stepping stones instead of roadblocks to be a blessing to others. Her motto, "Yes You Can," is the message she spreads and lives firmly by as she motivates her audiences to be the best they can be! With humble beauty, Eydie is well-known for her positive energy, faith in God and true passion for helping individuals discover their "power within." She firmly believes that once you find your "power," you possess the ability to increase your confidence and effectively manifest the things you desire to have in your life. Eydie has a heart for helping those in her community which is shown by her dedication to such projects as Hydrate the Homeless which was featured on Fox 4 News Dallas, and her volunteerism with Dallas Life, a homeless shelter in downtown Dallas. To further her volunteering efforts even more, she serves as a member and Executive Advocate for the social organization Classy Living Society which is a member-based organization dedicated to spreading the call to service through civic engagement, transforming lives one community at a time. Eydie has delivered her message and given talks for several outlets and organizations including the Women's Healing Weekend Workshop Tour, The Dorinda Walker Protected by Purpose Tour, She Was Made Summit and Delta Sigma Theta, Inc. to name a few. She has been featured in the magazines, Women of More for her contribution to the Women Inspiring Nations project with international speaker Cheryl Wood, Garbed in Modesty Magazine, Voyage Dallas and Chronicles Too. She also partners with Gospel Fusion Records delivering the "Word of the Day" daily motivation. Eydie earned her Bachelor's degree in Business Management and is currently pursuing her Master's of Business Administration. I believe a smile is more than a thousand words. I have three beautiful children who are my everything! I cry when I watch romantic movies. I believe in going after my dreams, and I encourage others to do the same. I am a firm believer that it is more of a blessing to be a blessing to others.